We were picked up from the hotel at 9:00 am which is actually a late start for these types of trips. The guides drove out to Canyon X over very bad roads. 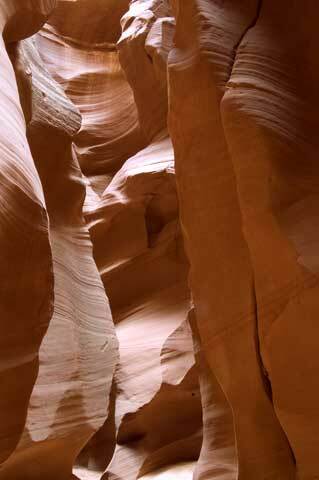 Then we hiked down to the bottom of the canyon. Before I come on these trips I always plan on exercising to get in better shape. I rarely actually carry through with it though. I really should have this time. By the time we reach the bottom my legs are already sore. 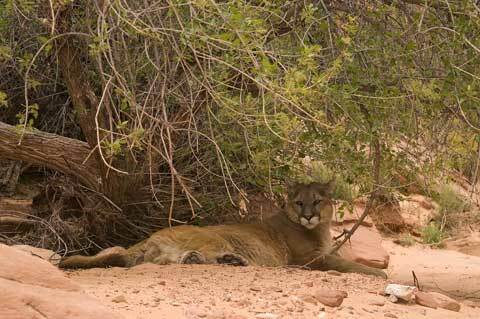 We shoot the cougar and the bobcat in the slot canyon. 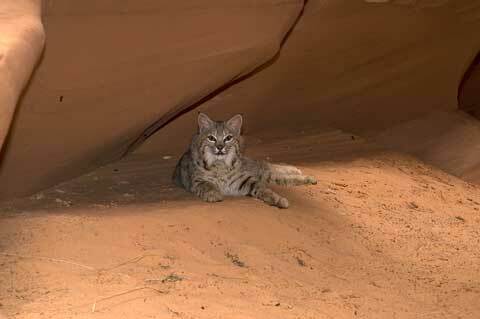 The day is overcast and parts of the canyon are quite dim so a flash is sometimes required. 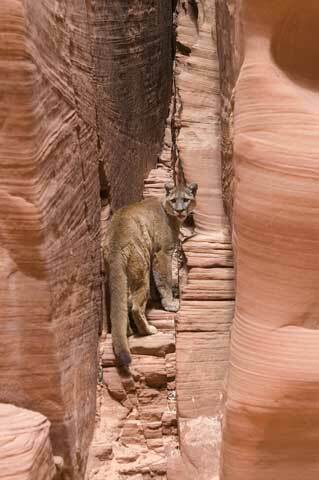 The cougar jumps from ledge to ledge in the canyon but only one of my shots is in focus. 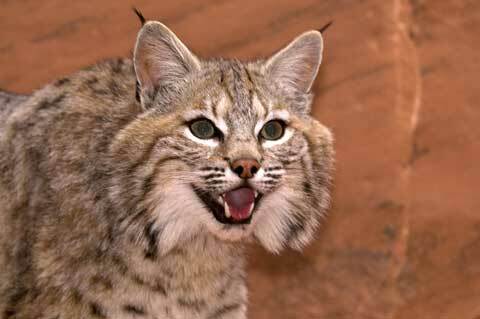 The bobcat is adorable. We find what looks like an old rabbit bone for him to play with and he has a great time. The climb back out is hard. I really should have exercised. Not only am I out of shape but we are at roughly 6000 ft. 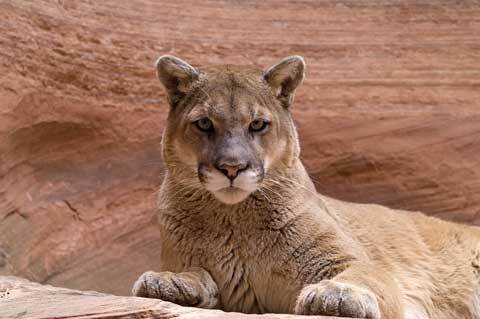 I can't walk on flat and ground carry my camera gear without huffing and puffing let alone climb up the side of a canyon. By the time I go to bed I feel like an old lady. My legs are sore, my back is killing me. Listen up youngsters, as you get older you don't heal like you did before 20. I pulled the muscles in my lower back years ago windsurfing. They still act up on occasion. Apparently I did something today they really did not like. I could be in trouble for tomorrow.